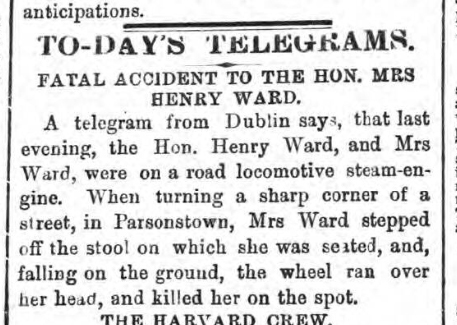 On 31 August 1869, Mary Ward (nee King) became the first person to die in a car accident in Ireland and Great Britain. The terrible accident occurred in County Offaly in Ireland. Mary Ward, along with Captain the Honourable Henry Ward, Honourable Randal and Clare Parsons, were travelling on a road locomotive steam-engine when it turned a sharp corner leading to Cumberland Street near Parsonstown. 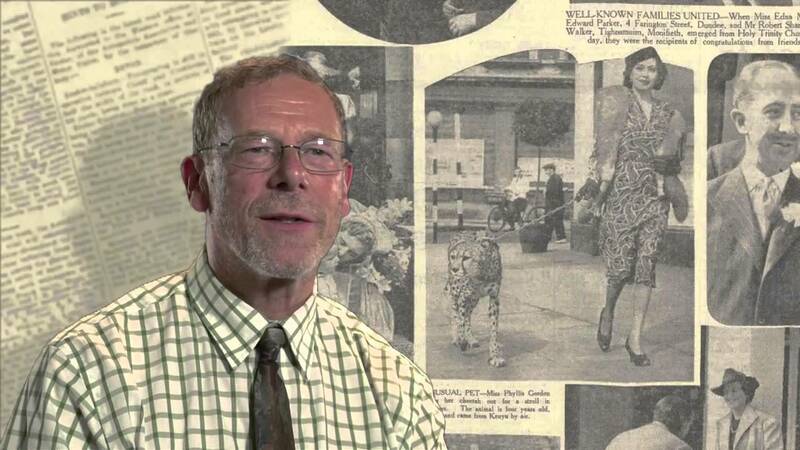 The sharp turn caused Mrs Ward to fall forward to the ground and the vehicle drove over her. 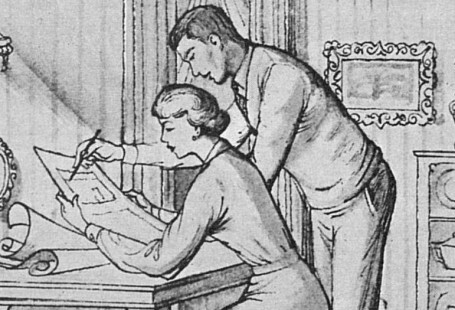 Medical aid was useless as Mrs Ward was killed instantly. An inquest was held on 1 September at Birr Castle. 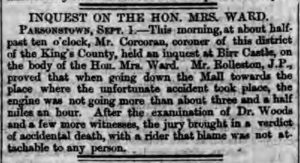 After hearing the results of Dr Woods and other witnesses, the jury returned a verdict of an accidental death and no individual was to blame for Mary Ward’s death. Mary Ward is the great-grandmother of the English actress, Lalla Ward, who played the part of Romana on BBC’s Dr Who. This illustration is an example of a 19th-century road locomotion. 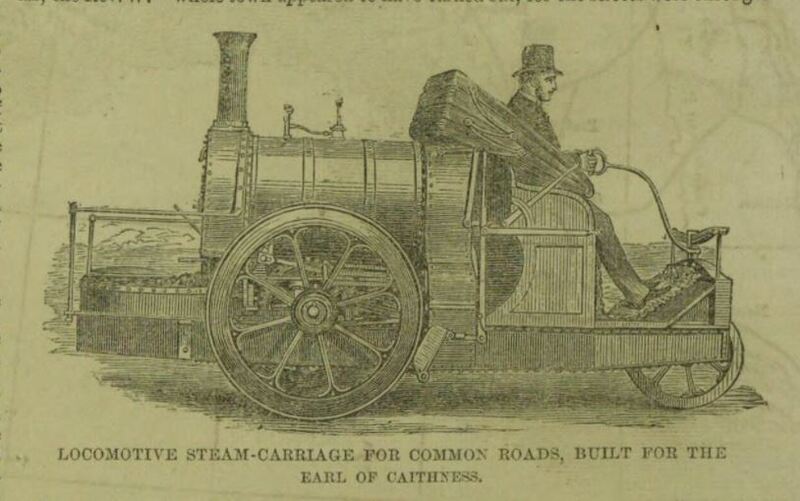 This particular locomotive steam carriage was built for the Earl of Caithness in 1860. His Lordship travelled from Inverness to Barrogell Castles, 150 miles, with Lady Caithness, the Rev. W Ross, and Mr Rickett. The journey took almost two days. The ambitious journey was described as ‘the boldest and most difficult enterprise recoreded int eh annals of road locomotion’. 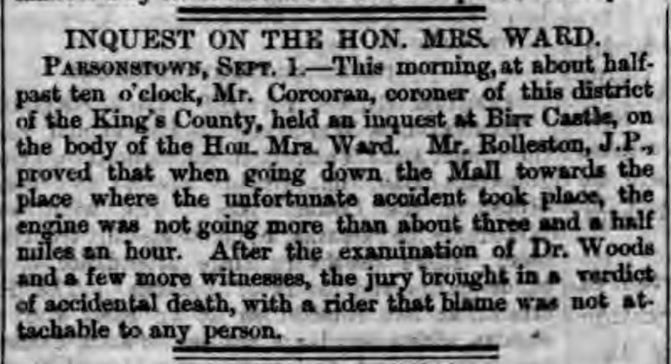 You can read further reports of Mary Ward’s fatal accident.